Electric winches are used to Push / Pull Loaded trolleys moving on rails. Electric winches come in different shapes and sizes. Electric winches are usually capable of handling loads of 1 TON to 200 TON. The cables and motors of electric winches are created specifically to handle different weight loads. 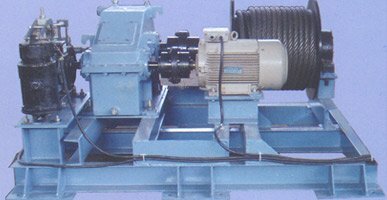 Krishna crane designs and manufactures such Electric Winches to suit specific client requirements. Hoisting Gearbox, motor and brake is one single compact unit eliminating any coupling and alignment problems. height of lift, for specific requirement. Easy to service electrical control system.